LED product have energy saving up 90% than incandescent light, and 75% than energy saving light. Life time 0f 50,000 hrs. In fact reduced energy consumption means reduced greenhouse gas emissions. These KAGIO AMATA customers will have prevented of CO2 emissions from being pumped into the atmosphere by electric plants. 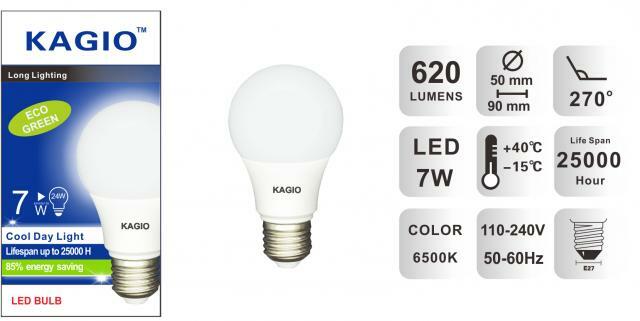 Did you know that by simply changing from standart incandescent lighting to KAGIO AMATA lighting you can save energy and help reduce carbon dioxide emissions-a major component of the gases most experts believe is responsible for global warming? KAGIO AMATA enhances your life experiences no matter what your passion by providing a precise blend of contrast and brightness with our technology to help you see clearly and reduce eye strain. Adopting the eco-friendly lighting will make your life safer and slow down the process of global warming, which is burning is issue and need to be taken care off. 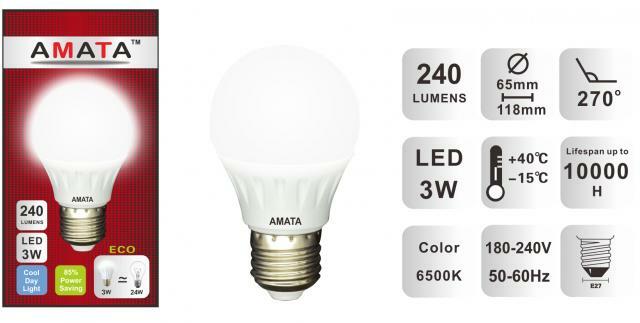 Long life time stands out as the number one benefit of LED Lights. LED’s have different to standard lighting: “They don’t really burn out and stop working like a standard light, moreover the lighting diodes emit lower output levels over a very long period of time and become less bright”. And LED’s are extremely durable and build with sturdy components that are highly rugged and can withstand even the roughest conditions. Because LED light are resistant to shock, vibrations and external impacts, they make great outdoor lighting systems for rough conditions and exposure to weather, wind, rain, traffic related public exposure and construction or manufacturing sites.